Straight-line depreciation is the depreciation of real property in equal amounts over the allowed life of the property for tax purposes. A certain commercial property can be depreciated using a tax life of 39 years, for example. If the property's cost is $895,000, then dividing that amount by 39 would yield a straight-line equal amount of $22,949 in depreciation each year for 39 years. Real estate investment has some distinct advantages over investing in the stock market. There are some regular deductions that you would expect, but also others you may not know about. We're talking right now about rental properties, specifically single-family rental homes or condos, and rent-ready, no fix to rent. Before talking about deductions, I want to make it perfectly clear that you don't want to consider deductions in evaluating a rental home for investment. Sure, when you do the final number-crunching you can look at how great you'll do with deductions considered. But, when you're getting into the deal, you only want to look at the basics and concentrate on CASH FLOW. Can you buy the property at a price that is below current market value, locking in a profit in equity at the closing table? Will the current market and competitive environment support rent that will pay expenses and still leave nice monthly profit as cash flow you can take to the bank? Have you allowed for some vacancy and credit losses? With your mortgage payment and all of the above considered, will you be able to take some nice cash to the bank every month? Those are all to be figured out BEFORE you buy that property! Everything we talk about after this is gravy. Sure, you could take some or all of these other things into account to evaluate the investment, but doing so is putting you closer to the line if something goes wrong. Your expenses mentioned above are all deductible against income for tax purposes. Though it isn't considered an operating expense, you also get to deduct the mortgage interest. 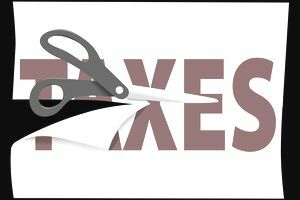 You can't deduct major repairs, such as equipment replacement, as it will need to be depreciated, but you get to deduct that portion each year. Currently, the IRS allows you to depreciate the structure of a rental property over 27.5 years. You must subtract out the realistic land value, as land doesn't depreciate. So, just as an example of an extra annual deduction, assume that you have a structure worth $180,000. Divide that by 27.5 to get $6.545. That's your annual depreciation deduction, and you didn't spend a dime to get it! What we're seeing is an accumulation of expenses, and if all of these are lumped together and you're in the 25% tax bracket, you could be putting another $3.000 to $5,000 in your pocket each year. That's a few hundred dollars each month. This one is only used if you decide to grow your portfolio by selling properties profitably and plowing that money into other properties. It's complicated, so an accountant should be consulted, and the rules are strict. The investor is pretty much hands-off, as a third party has to take in the proceeds of the sale and disburse the funds to buy the new property. However, done right you will not have to pay capital gains on the sale in the year sold. You get to defer them until you ultimately sell the property and do not roll into another one. But, if you hold the property until death, your heirs will inherit it at the then current value, and all of those capital gains go away for tax purposes!